The choice of gels for nail extension is quite difficult, because manufacturers of such materials; the products that they produce, different in their characteristics. The gels vary in consistency, color, features of the application, and masters of using the products of a firm, pick them mainly empirically. So how can you make the right choice? Before settling on any brand of gels, try to learn all about the most famous manufacturers. Reputable firms usually have a website. Go and read the information that they release, whether they have their own laboratory, such as testing their products, whether any of them has its own distribution network in your city. All this testifies to the solidity of the manufacturer and will ensure that you come across a "garage-basement" firm with questionable goods, and will be able to decide how you are going to replenish their stocks. Select two or three most appealing to you manufacturer note, do they have recommendations or guidelines for working with the materials, and in particular with the gel. So you will get a preliminary understanding of the pros and cons of various gels. Don't forget to look for independent reviews about the products of these firms and the nuances of its use. Can also ask about the gels from the masters that make the manicure on this technology in your city. Best if you're looking for more than just gels, gel system, which already included everything you need for nails, including, perhaps, the UV devices. There are commercially available special starter kits for beginners - these sets are often complemented by training CDs. When you buy gel pay attention to whether he has the certificate of quality. Think about what exactly you expect from using the gel, what effect you want to get, are you interested in transparent or colored gels, what consistency it should be and how to harden. Please note that there is a gel solidifying under the action of UV rays, and those that harden when applied to these so-called polymerization catalyst. The gels of the first group have no smell, more liquid, so easily applied, and after drying respond well to treatment. 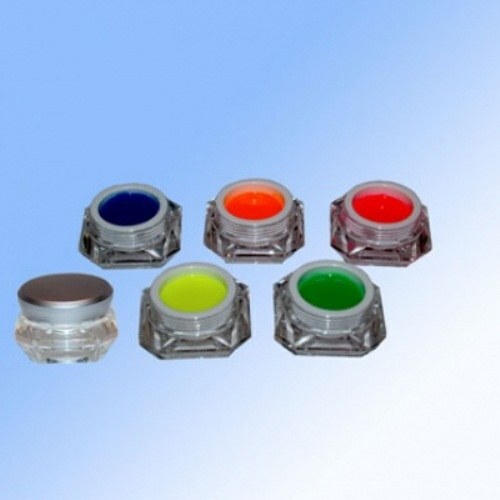 But keep in mind that typically, manufacturers of such materials produced in addition and the lamp which creates the most optimum temperature for their gels. If you use another lamp, you risk not to guess the power and the result is either sticky, rubber nails, or dry – brittle and darkened. Gels of the second group incubation under the light bulb is not required. They are more thick and sticky in consistency and is applied usually or brush, or straight from the tube. These gels are more difficult to process, but also more durable. You need to decide how you want to apply varnish: at once, two or three. The most economical option that is suitable for beginners – single-phase gel. This is best suited to people with sensitive skin and weak nails. But if you are interested in challenging textures and drawings, it is easier to use three-phase gels. Professionals on the nail you think it is easier just to listen to the advice of colleagues and to take the proven gels. But add that if you really want to become a great technician should try to work with different materials to see the difference and choose what you like best.